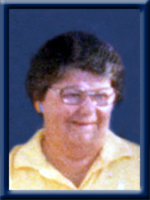 BABIN – Shirley Jean, 89, of Liverpool, passed away peacefully in Queens General Hospital on Monday, August 26th, 2013. Born in Halifax, NS, she was a daughter of the late Robert “Bob” and Jean (Smiley) MacKinnon. She is survived by her son Francis Xavier “Frank” (Margaret Anne) of Moose Harbour, her brothers R.K. (Dorothy Anne) MacKinnon, of Liverpool, Jim MacKinnon of LaChute, PQ. Her grandchildren Nicole (Georg) Reuter of Vancouver, BC, Jarret (Mena) Babin of Surrey, BC, Joel Babin of Moncton, NB, Tommy (Tamara) Babin of San Diego, CA, Julie Anne Danylewich of Liverpool, Jennifer (Tom) Fenske of Sudbury, ON. She will be missed by her 11 great-grandchildren and many nieces and nephews. She was predeceased by her husband Francis Xavier Sr., her daughter Penelope Shawn, her son Robert Henri and her brother Ian Keith. So sorry to hear of Shirley passing. May God comfort you all in your time of sorrow. Deepest Sympathy and we will keep you all in our thoughts and prayers. Thinking of you, our condolences and may God Bless. We were so sorry to hear of Shirley’s passing. Our condolences to her loved ones. She was a fine lady!! Sorry Lynn to read of the passing of Ians sister .Our thoughts and prayers are with you . Sorry to hear of Shirley’s passing. We were sorry to hear about Shirley. Our thoughts and our prayers are with your family. We are very sorry to hear of Shirley’s passing. She will be missed by all. Our thoughts and prayers are with you all. Dear Frank and Family: Please accept our very sincere condolences. Lovely Lady , Sad news, RIP. So sorry to read that you Mom has passed away. Shirley and I worked together at Thornes and we sure had a lot of fun and laughs. It was a pleasure to have known her. Rest in Peace, Shirley. My sincere condolences to you and your family. We are so sorry to hear of Shirley’s passing. Thinking of you and sending along our sincere sympathy. So sorry for your loss. She was a very sweet lady. Our thoughts and prayers are with you and your families. Frank, Margaret Ann and Family: We are deeply saddened to hear of Shirley’s passing. She was such a sweet and kind person and the best neighbor a person could ever ask for. She always had time for a chat and a smile. Her gentle ways and happy smiles will be missed very much. May your happy memories help to heal your hearts at this sad time. Rest in Peace Shirley and God Bless to you all. Frank, Margaret Ann & Family…..I am very saddened to hear of Shirley’s passing. As you know, Shirley and I worked together for several years at the former Town Hall on Main Street and we shared a lot of laughs and good times. She loved her children and grandchildren very much and spoke of them often. Christmas was the best…Shirley loved buying gifts for her family. I hope you all can find peace and comfort in each other and in your friends and loved ones who surround you during this sad time. I know the many happy memories of Shirley will forever be in your hearts. Shirley, may you Rest in Peace. Our condolences to you all in the loss of Shirley.She was a lovely lady. We are sad to hear about your mother’s passing and pray that your faith helps heal the pain of this loss. Our sincerest sympathies for you and your family. Our sincere sympathy to all members of Shirley’s family. We have many fond memories of her while we lived in Liverpool. Our thoughts and Prayers will be with you all at this time of sorrow and loss. She was certainly a friend to us. Sorry we will not be able to come to Liverpool for the service on Friday. Our sincere sympathy to you all in the loss of Shirley. She was such a nice person. Our thoughts and prayers are with you all at this most difficult time. Dear family sorry to hear of Shirley passing Our thoughts are with you all .Lovely person to chat with. I read your mother’s obituary in the morning paper and would like to offer my sincere condolences to you and your family. The loss of one’s mother leaves such a void. Treasure all the memories. Prayers. Frank, Margaret Ann & family: I was saddened to read this morning that you lost your beloved mother, grand-mother, & sister. I will always remember Shirley’s beautiful smile and her love for everyone she knew. She was a great lady! Your peace will come with your memories of her and all she stood for. God Bless! My thoughts are with you at this difficult time.It’s always sad to lose a family member.Your memories and kindnesses of your mother,grandmother and sister will help carry you through this difficult time. May God bless. I was so sorry to read about Shirley this morning. She was a wonderful person who always had a smile for everyone. Please accept my sincere sympathy. May God bless you all at this difficult time. Frank & Margaret Anne – We were very saddened to hear the news. Please accept our sincerest condolences. Our thoughts and prayers are with you during these difficult times. RIP Shirley. I miss you already but also take comfort in knowing you are with your Bob and family in heaven. I am sure they were waiting for you with open arms. Love you always and cherish the memories we had. Sympathy to all of Shirley’s family…..I will remember her and the good times we had when we worked together at the Town Hall….my thoughts are with all of you at this sad time. Our sympathy to all of Mrs. Babin’s family. Thinking of you. Our sincere sympathy for your loss. Our prayers are with you. We are so sorry to hear of your Mother’s passing. Please accept our sincere condolence, and know you are in our prayers at this time. Frank and family – I was very sorry to hear that Shirley has passed away. During the years I knew her, she was always a kind and thoughtful person. I don’t think I would have enjoyed my time working for the Town nearly as much if she had not been there too. Our thoughts are with you all. Sorry to hear of your Mom’s passing she was a great person and always had a smile for everyone;. Our prays are with you. We would like to offer our sincerest condolences to you and the family. We often think about you from afar. Our thoughts and prayers are with you during this difficult time.